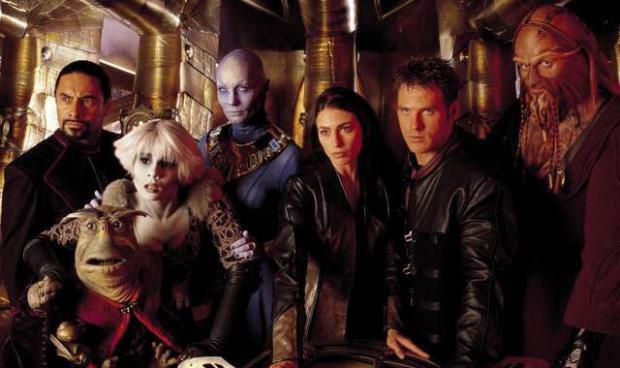 OMAHA, NE – Farscape was an ambitious creation for the SyFy Channel. The SyFy Channel was known for just rerunning older scifi material and they wanted make their mark, they wanted to push the envelope and that was what we fans saw in Farscape. The production was quite ambitious as far as production values, special effect, make up, sets, talented actors and crew. Farscape actress Claudia Black remarked that Farscape was probably the most ambitious project Australia had ever seen at that point. Producing the show in Australia saved lots of money and allowed that money to be put into things that you could see directly in the show, the sci-fi sets and makeup, the alien looks, as well as Farscape’s signature puppets from the Henson company. A video with some of my favorite clips from one of my favorite episodes! Farscape Cast during the shows high point.